In no way should the trapper be allowed to put traps here, you can't undo the trap and he can still hit you from there. It is more than just unfair for survivors but an issue when this was a spot survivors got banned for in the past. If you want to deactivate the trap u are forced to step on the trap and later deactivate it. I don't see any survivors complain they can ignore traps with Dead Hard. I see survivors bodyblock to the killer in same place and killer could not hit survivors. Don’t jump the window if you don’t want to be trapped? There’s another way down from the combine. Additionally, once the trap is set, the Trapper can’t untrap it without stepping in it himself. 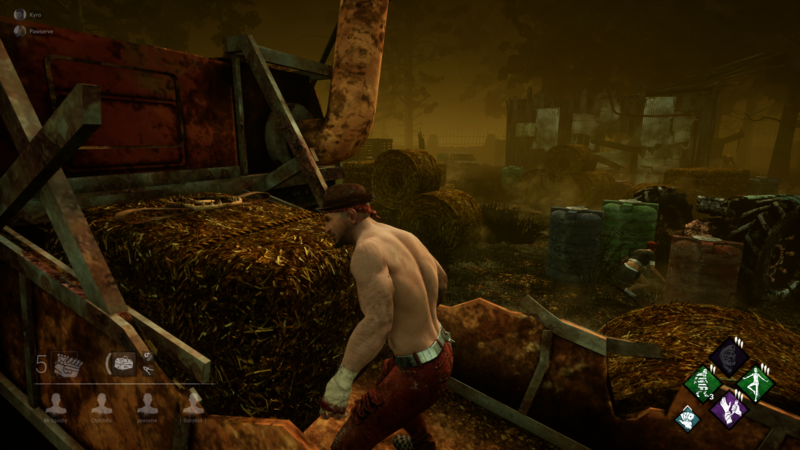 It was an issue with survivors because killers follow survivors in order to catch them. That core mechanic was being foiled. Untrapping traps, on the other hand, is not necessary and therefore is not of the same caliber as the survivor body block issue. So you want to make impossible to place traps on the Meyers' House roofs because they can't be disarmed? 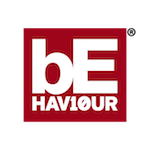 Just learn to avoid those places when playing against the Trapper, those are the spots where traps really shine a Trapper that uses them is smart and should not be punished for that. You aren't trapped there though. The killer can hit you from below or vault the window after you. You aren't forced to walk into that trap. Just take the other way down from the combine. So what you're saying is the trapper placed a trap and you took the bait? The trapper is one of the weakest killers in the game, any team can reduce him to a left-click machine simply by looking where they walk. And Dead Hard makes it especially spicy, I play The Trapper and Survivor and i see no issue with this. To me this is a clever way of zoning a loop off. This would be completely avoided by looking before you leap rather than blindly running the same loops. There is one major problem... Or rather two with your logic there Mr Squishy. 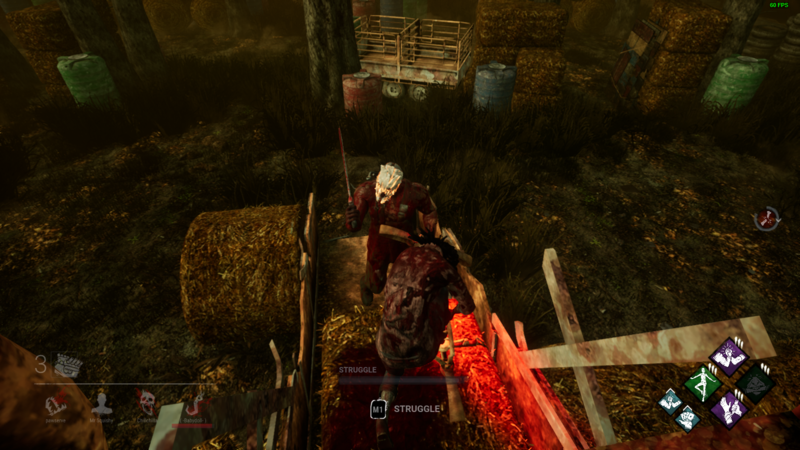 The Trapper and the Hag are the ONLY two killers that have trapping mechanics, and only the Trapper has the tool to make use of that spot. Think before posting please, I don't need my main mans getting punished when he isn't the majority of killers faced.